« COP freed from Matrix!! 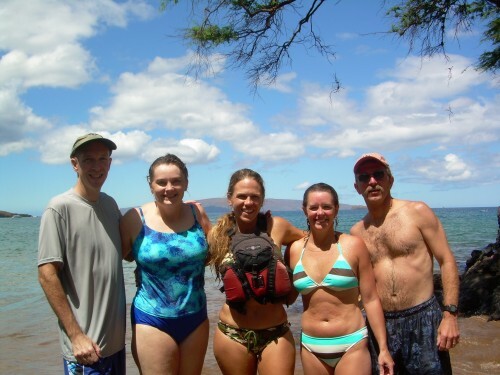 Sea kayaking and snorkeling on the south Maui coast. Catching a theatre show called ‘Ulalena (envision a Cirque Du Soleil show about Hawaiian mythology). 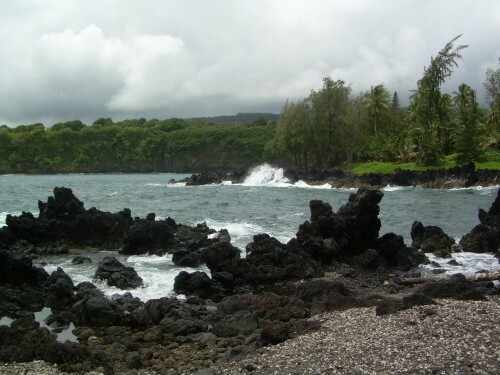 Mountain biking down a volcano, in a tropical rainforest, at the beach – all in one trip!. 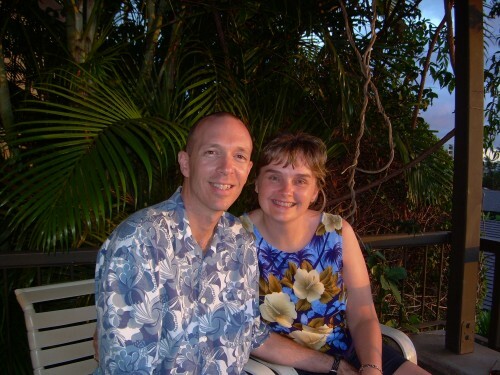 Enjoying the Old Lahaina Luau. A visit to ONO Farm, a certified organic tropical fruit farm. A helicopter tour of Maui. Here are some info links of interest. 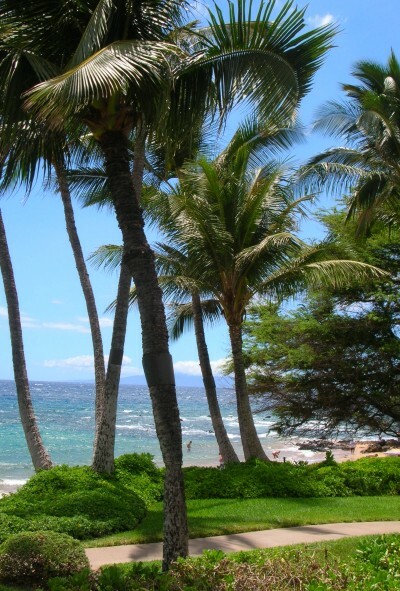 Kahului, Maui weather It seems Tropical Depression Cosme might circle the islands this week. Wahooo!!!! May the Adventure continue !!!!! After grabbing a bite to eat and hitting a few stores for some basic supplies, we finally decided to get some sleep (not sitting up). It had only been 25 hours since we got up in Raleigh. 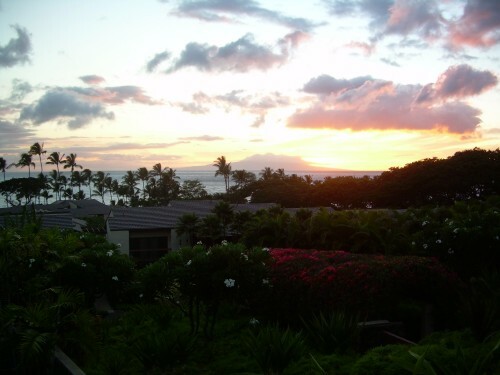 5:00am – Ok, my internal clock is on vacation time (and EST) so it’s time to get up and see Maui! I can sleep at home. This morning’s plan is to go on a kayak/snorkel trip. 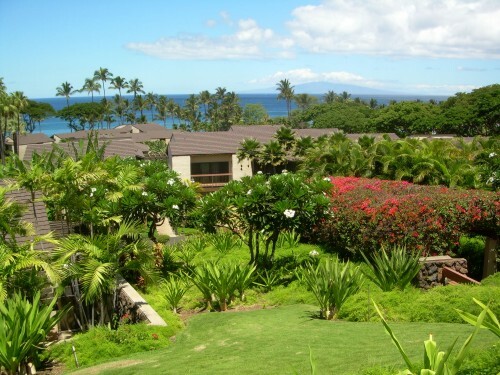 Later this evening we plan to drive over to Lahaina and catch the ‘Ulalena show. 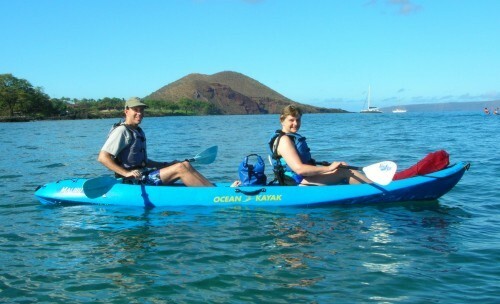 3:30 pm – Great morning kayaking and snorkeling. 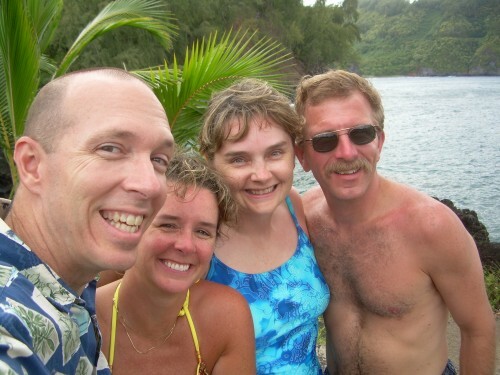 Having now done the headboats and a more individualized snorkeling excursion, I definitely prefer the smaller groups. Deja was great guide – full of local info and naturalist knowledge, and she was a nice person to hang out with. Deja works for Makena Kayaks. and then headed to the pool to baste for a couple of hours before we cleaned up and headed out for an evening in Lahaina. The other Childrey’s are assembling the newsletter – Lainey, Lauren and Tom are hard at work while I check my email to see if the N/L has gotten to my email and I find this. They have been to Wal Mart this morning. Have fun! Thanks for the pics. Logan, Kara, and Pilot are all being good! Caught a brief glimpse on the news that there is a volcano erupting in Hawaii. Stay away from that one! The kayaking and snorkling look like fun. Glad you guys are doing “cultural” things too! The plans for today are for Tom to meet Carolyn and kids at Chickfila in Burlington. (After she drops Helen off at Cracker Barrell across the street at 11:30 am) She will take them to the farm and then we will pick them up after we get Helen back late this afternoon. Maybe she’ll let us treat them to pizza for supper. Looks like you’re have a great time. Thanks for the pictures. Sounds like a blast! Keep up the posts and beatiful tropical pics so that those of us stuck at the office can enjoy a taste of your fun! Ya’ll look like your having alot of fun. 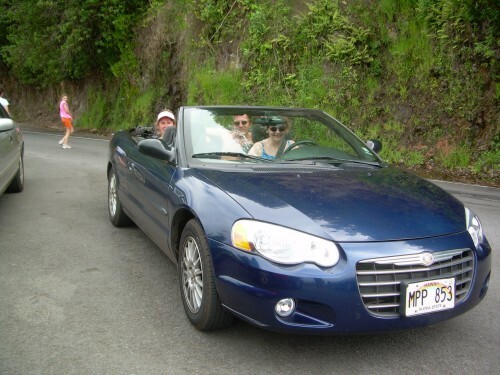 I love the convertable. Keep the pics coming since they are from my camera dad dont delete any I want to put them on my computer when we go home, ok. I miss you. WOW! I want to do that! do I have to wait until I’m 40? Enjoy!! The pictures are beautful. Love the convertible. Glad you are having fun in that beautiful place. View a sunset for me. Hot car! You are looking FINE!! 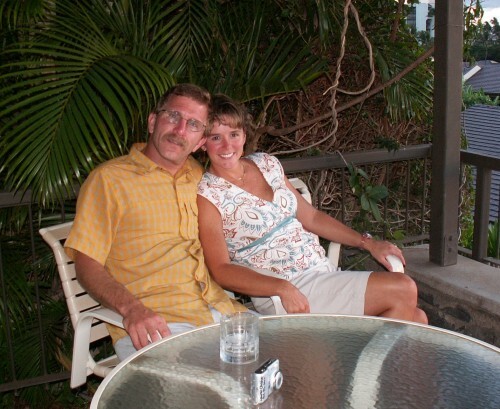 We’re waiting to hear about the Luau…and see pictures! Thanks for leaving all the comments. Sorry you can’t be here to enjoy all of this with us, but we’re trying to share what we can with you. Hope you’re enjoying the pictures! Great adventure article! Nice images too! GREAT SITE!!!!!!!!!!!!!!!! You all sound like such a fun family! The pictures are beautiful – love the quote – and what a great idea to be able to share your travels. I just love it that you posted so many great pics! 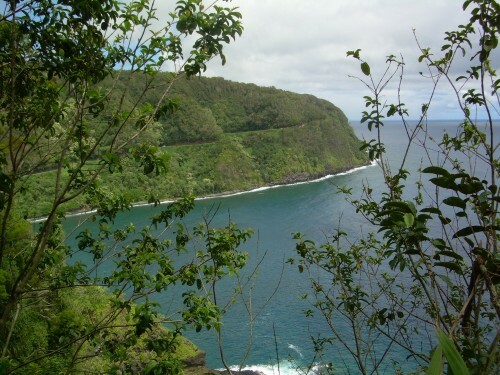 Your pics of the Road to Hana bring back memories! 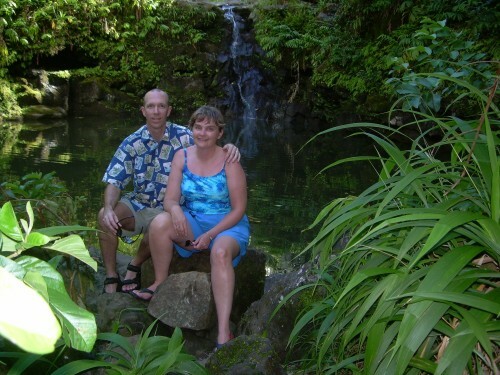 We didn’t take much in the way of pictures though… I wish we’d taken a few more – the scenery was just gorgeous! 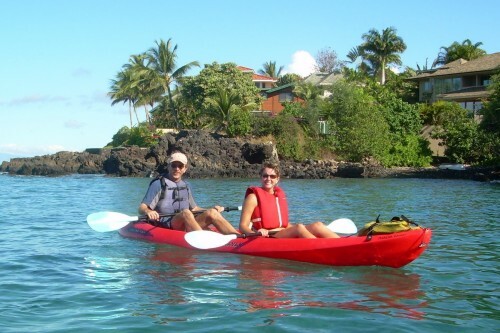 Kayaking looks like fun… I’ve been thinking for a while that we should try it on our next trip to Maui!